What is Lucky 6 live dealer game and how to play this game at live casino? Lucky 6 is a popular live dealer game that can be played at live casinos. Actually this is lottery type game hosted by a real live dealer and you can play online even with your mobile. Developed by BetGames this live game is not the first to be developed by the gaming company. Betgames also have to their catalogue of live games, Lucky 5, Lucky 7 and Poker, Baccarat, Wheel of Fortune and Dice games. Lucky 6” or “6 out of 60” is a dynamic game based on a lottery. Players are offered a wide range of betting outcomes. 6 winning balls out of 60 are randomly drawn into the cylinders of the game machine. The order of the winning balls is determined by the machine cylinders from left to right. The cylinder to the left is considered to be the first. A set of sixty (60) balls which is used for the game. There are 30 red and 30 blue balls. The balls are numbered from 0 to 9. Total sum of the numbers on the balls is 270. Total sum of the numbers on the red balls is 138 and total sum of the numbers on the blue balls is 132. There is a drum machine where all the balls are placed after the presentation. Later the balls are mixed and the winning balls are drawn. There are 6 identical parts that are connected to the drum of the game machine where the winning balls are drawn. All 6 winning balls are shown in the separate frame. When all balls fall into the Drum of the game machine. The process is considered as finished when all 6 winning balls are selected into the Cylinders and all the remaining balls lie at the bottom of the Drum of the game machine. 6 winning balls out of 60 are randomly drawn to the cylinders of the game machine. The draw is deemed to have taken place when Mixing and Selection process is over. In all other cases the draw is either void and all the stakes are returned, or Mixing and Selection process is continued until 6 winning balls are selected into the Cylinders and all the remaining balls lie at the bottom of the Drum of the game machine. The order of the winning balls of the draw is determined by the machine cylinders from left to right. The cylinder to the left is considered to be first and the one on the right is the last. The order in which the cylinders are filled doesn‘t have any influence on the result of the draw. How to play Lucky 6 live dealer game? You need to first join any live casino that is powered by Bet games or offers this game at their live casino. A betting round takes place between the game draws and lasts about four minutes (when the first draw is finished, the betting round for the second draw immediately starts. The broadcast starts after the end of the betting round). Game draws run every 5 minutes 24/7 with maintenance breaks on demand. All the claims of the player related to the results of the draws or other technical issues should be addressed to the live casino no later than 30 (thirty) days after the draw in question. Every time, 6 balls are drawn at random. Payouts range from 1.01 to 90 depending on their complexity and odds. Once you enter the game, you can choose multiple betting options on a slip and wager up to 100 chips. Before we move on to the payouts, you should know that balls are numbered from 0 to 9 and come in red and blue. They can fall into three zones – A, B, and C.
There are five types of bets you can place. They are numbers, counts, colours, odd/even or total sum. When you play number bets, you predict if a selected ball will be dropped in the A, B or C zone. If you guess correctly, you will get paid 5:1. You can also bet on that the lucky balls will form a select two-digit number in one of the zones. This is the riskiest bet that pays 90:1. With count bets, you guess if the count of lucky balls with the chosen number from 0 to 9 will be more than 1.5, less than 1.5, even or odd. Depending on your bet, you can get paid from 1.07, 8.30, 1.50 or 2.55. The bet that pays best in this category is the one with which you guess if the count of lucky numbers with the chosen ball will be over 1.5. With odd or even bets, you can guess sums and counts of even or odd lucky numbers. If you try to predict whether the sum of the numbers on the lucky balls will be even or odd and your bet wins, you will earn 1.90 in both cases. Placing bets to predict if the count of even or odd lucky balls will be under or over 2.50 can earn you 2.75 or 1.45 respectively. All bets on even or odd sums of numbers in the zone A, B or C pay equally, 1.90. You can place your bet to predict if the sum of the numbers of lucky balls would be under or over 26.5, under or over 15.5 and under or over 38.5. Bets on the sum under 26.5 pay 2.00 while ones guessing that the sum will be over this value pay 1.80. The sum bets that can earn you the most lucrative prizes are those predicting that the sum of the numbers will be under 15.5 or over 38.5 and they pay 18. If you are not that into taking risks, you can place your bet that the sum won’t be under 38.5 or over 15.5. These bets pay only 1.01. 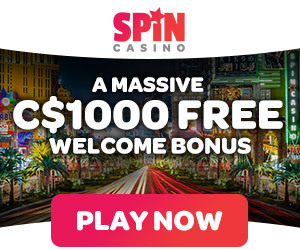 With so many multiple betting options with payouts going up to 90:1 you will love this lottery type live dealer games to play with real CAD. Live Prestige Roulette – How to play at Live Casinos with best strategies and bets. January 1, 2019 Kamal Kaur Comments Off on Live Prestige Roulette – How to play at Live Casinos with best strategies and bets.